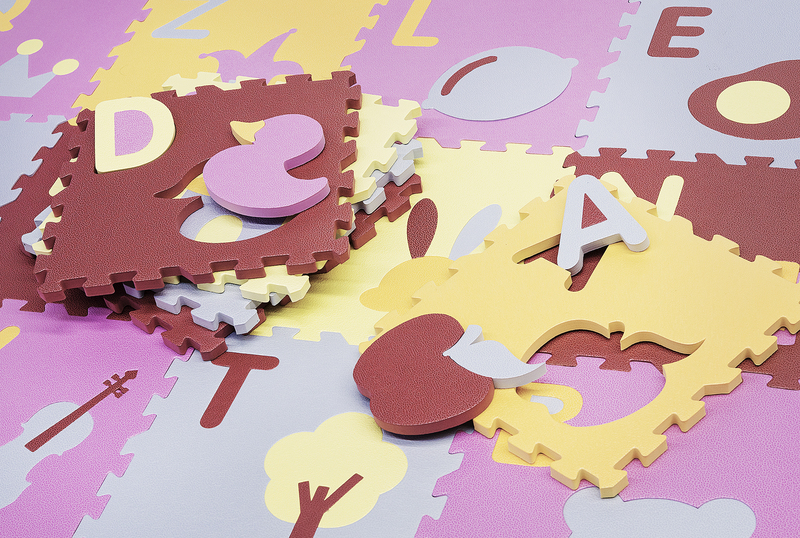 HemingWeigh Kid's Multicolored Alphabet + Shapes Puzzle Play Mat. 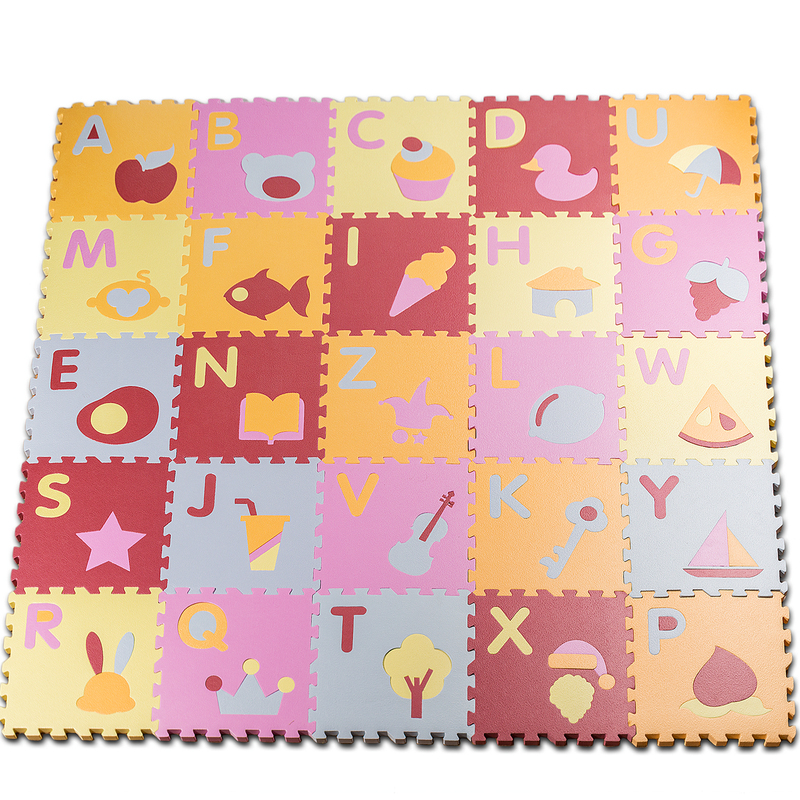 Treat your lovely child with the HemingWeigh® Kid's Alphabet Multicolored Puzzle Play Mat High Quality EVA Foam Interlocking Tiles, and see why this is the most popular Puzzle Play Mat found in Day Care Centers, Play Rooms, Nurseries, and playgrounds, etc.! *We at HemingWeigh® take pride in supplying the most high quality play mats that provide the most comfort for your child during playtime. This high quality deluxe mat will last longer than most standard Play Mats. Each Tile measures 1 square foot, and will cover 26 Square Feet, when using all 26 tiles. Each tile is large and colorful, and can be used to create interesting shapes, and lets their imagination go wild with possibilities. 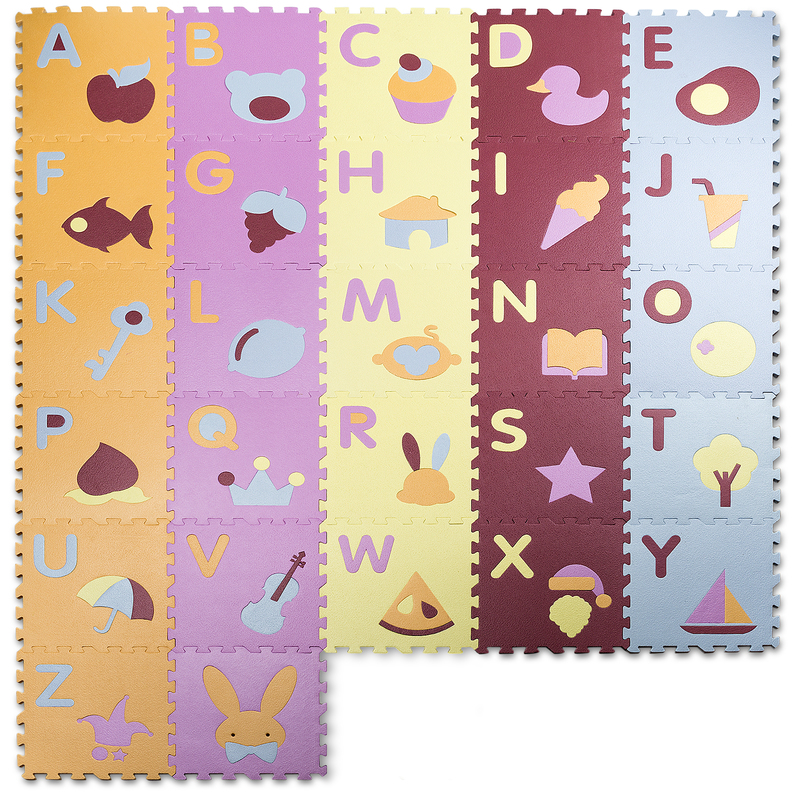 Each letter can be removed from the mat, and can be rearranged to you or your child's preference for interactive learning. 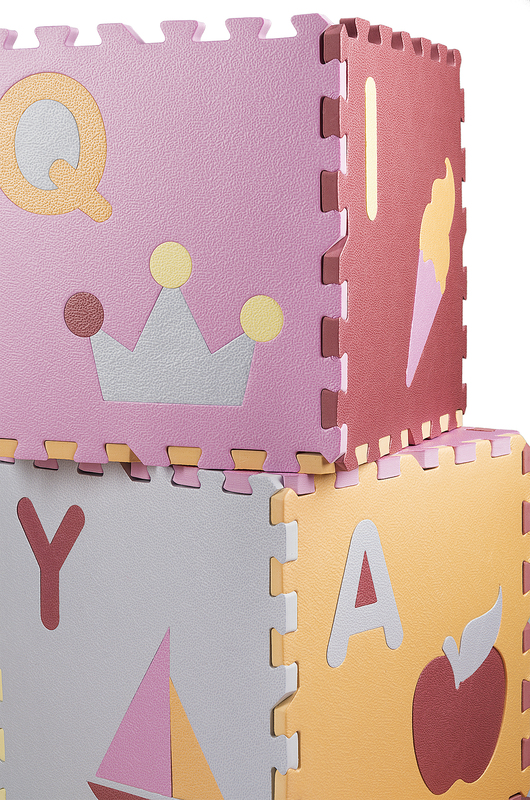 Each Tile comes with a letter, and a fun shape corresponding to that letter. *When shopping around for a Play Mat, note that what many other companies call a Play Mat is thinner than this mat. These ''knock-off'' mats are thinner and weigh less, indicative of their inferior quality. Great for child's Hand Eye Coordination and Visual Sensory Development.. Perfect for all Day Care's, and Play Rooms, Baby rooms, Nurseries, and playgrounds, etc.! 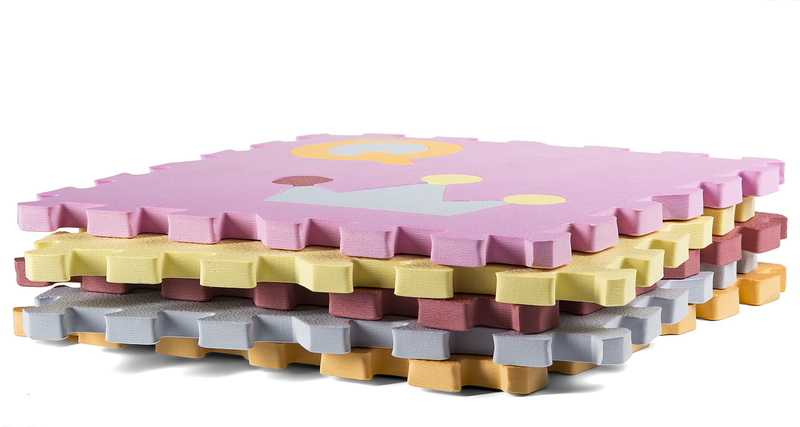 The cell material makes playtime more comfortable, and the non-slip surface grips to floor to prevent injuries. The moisture-resistant skin is easy to clean after use. 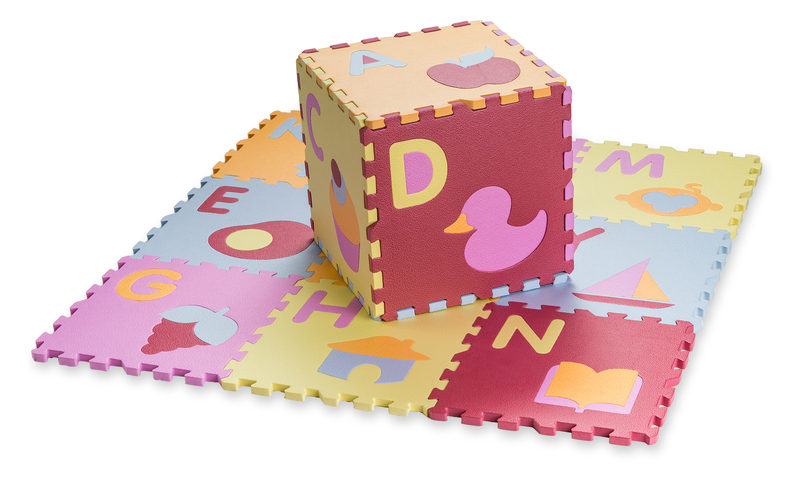 Every tile contains a letter of the alphabet, A-Z, along with a fun shape for that letter. Excellent for Day Care's, and Play Rooms, Baby rooms, playgrounds, etc., Great for child's Hand Eye Coordination and Visual Sensory Development.